This is the last stop on our virtual tour of Sweden - it's been so much fun! And to finish up, here’s an awesome insider tip from our recently featured artist, Carolina Grönholm! She told us that those “in the know” will frequently visit the Hornstulls Marknad on Sundays during the summer. We liked the sounds of this and decided to do a little more digging to find the scoop on this market. 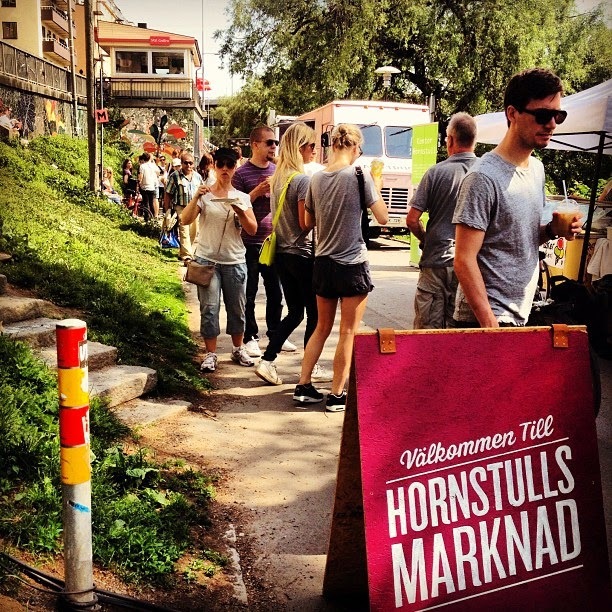 The Hornstulls Marknad has quickly become one of Stockholm’s favourite Sunday activities – it’s an easy and natural spot to meet up with friends, grab a coffee and enjoy a day out. The Marknad is open on Sundays from 11am until 5pm during the summer months. This outdoor street market is situated in the western part of the Södermalm district in Stockholm. 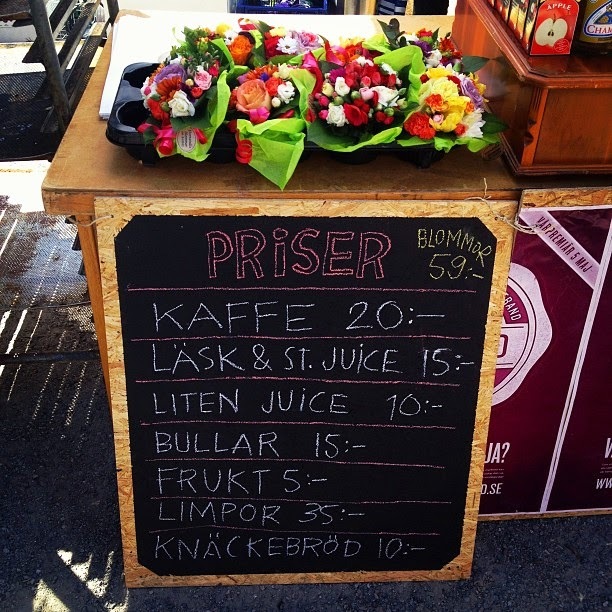 When the weather is nice, the market will stretch along Hornstulls Strand. 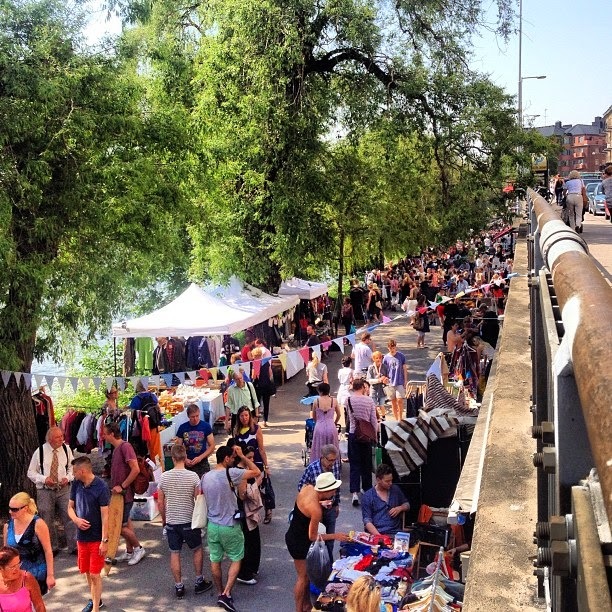 If it happens to rain, the market is relocated under the bridge, which connects Södermalm to some of the southern suburbs of Stockholm. Have you ever wondered what it would like to be a Viking for a day? If your answer is “YES!” then you are in for a real treat! Up next on our virtual tour of Sweden is the very interesting and unique restaurant, Aifur. 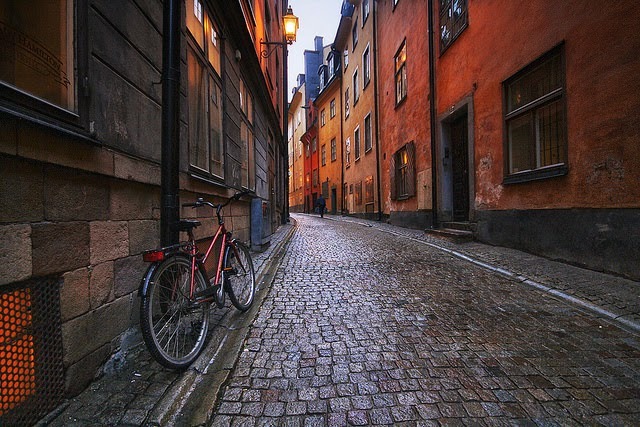 Located in Gamla stan, or the Old Town of Stockholm is the first and only restaurant with a complete focus on the gastronomic heritage of the Viking Age. Aifur is named after a legendary Viking ship, and is the result of fifteen years of accumulated knowledge and research about the life, food and culture from approximately 700 to 1100 AD. 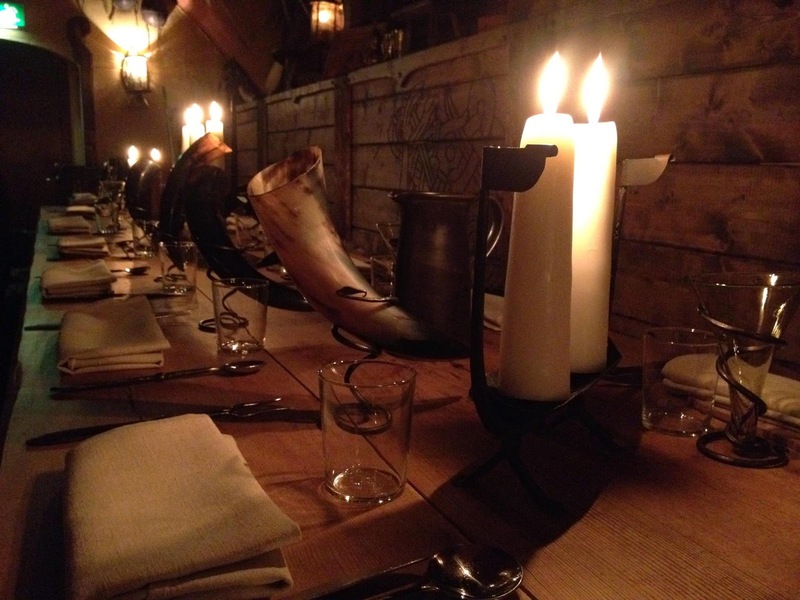 The restaurant and feast hall have the capacity to host up to 150 people, and the design and décor is pure Viking style. Visitors can find many exact replicas of Viking artifacts that have been found in tombs and excavations; these replicas include tapestries from Osebergs ship in Norway, a church bench from Kungsåra church, and drinking glasses found at Birka. 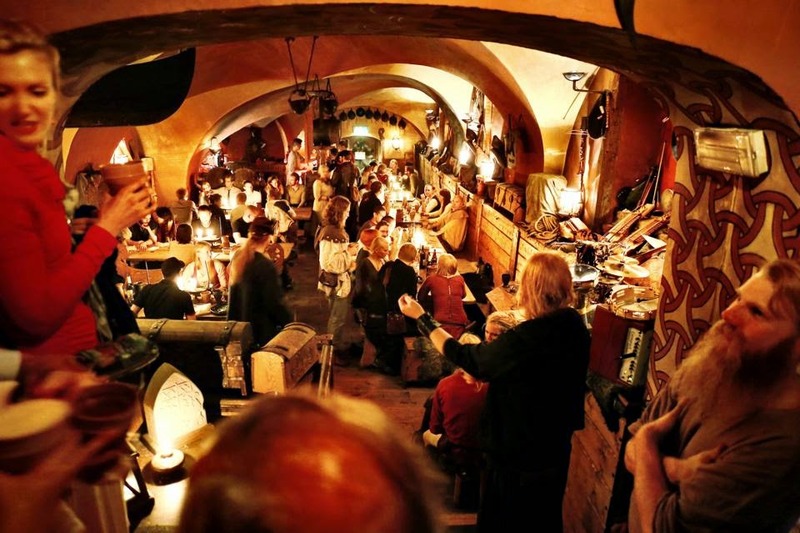 Sit back and enjoy your dinner while listening to live musicians play the sweet tunes of the Viking age – of course, on historically correct replicas of period instruments! Of course, Vikings were not exactly known for their plethora of cookbooks! But with the help of archaeology and osteology, the owners and staff have put together a menu that is as historically informed and correct as possible. Many of their dishes are spiced with similar herbs and spices that the Vikings would have shipped in their boats from the bazaars of Miklagard (today’s Istanbul). The menu offers a wide variety of appetizers, main courses, desserts, and a fine selection of beverages; better still, are the in-depth explanations and background of each dish! Standouts on the menu look to be the Plate from Trögden (a mixture of reindeer sausage, elk sausage, flat-smoked pork, reindeer heart, lamb steak and cheddar cheese), Tore Hjort’s Tenderloin (venison served with parsnip purée and black currants), and Cake Ansgar (a nut and apple cake with honey cream). Yum! Groceries, dentist appointments, date night, piano lessons, and school trips! Sometimes we just need a little order and organisation in our lives. Luckily, family calendars no longer have to be tedious or tiresome. Why not make your own that’s not only colourful, but also re-usable! Click here for the full tutorial by Maple & Magnolia. Have you made something like this already? Let us know how it worked out in the comments below! 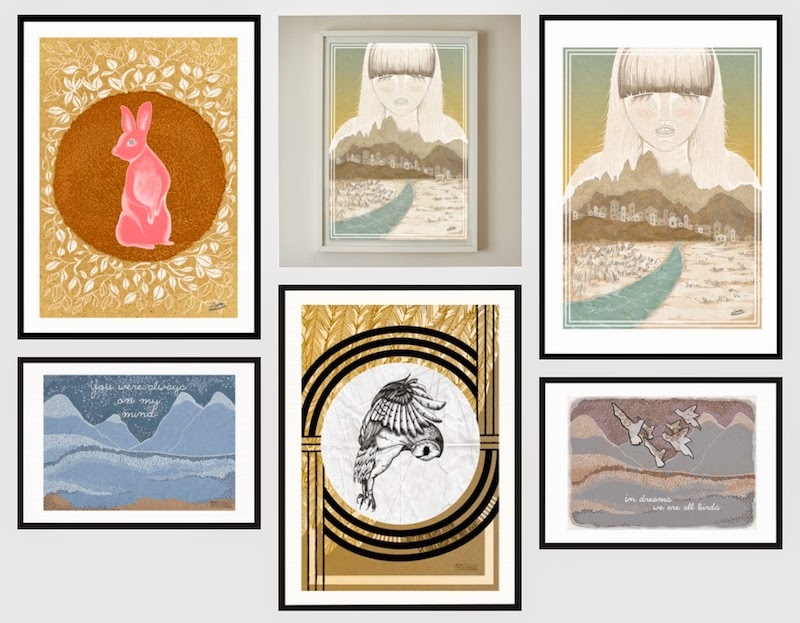 Today we are featuring one of our fabulous Robin Street Market artists, and in keeping with the Country of the Month theme we’ve chosen Carolina Grönholm of Sweden! Carolina is a freelance illustrator and multidisciplinary artist based in Sweden, where she lives “amongst deep fairy tale forests and big cuddly bears.” Her sweet, dreamy illustrations have pulled at our heartstrings for some time now! Recently, we were able to pick Carolina’s brain about her art and creative inspirations. Art has always been a big part of my life. My family has always been inventive and creative in so many fields; it makes it so natural for me to keep creating. What work do you most enjoy creating? Why? Illustrating is the one true love that stays with me. 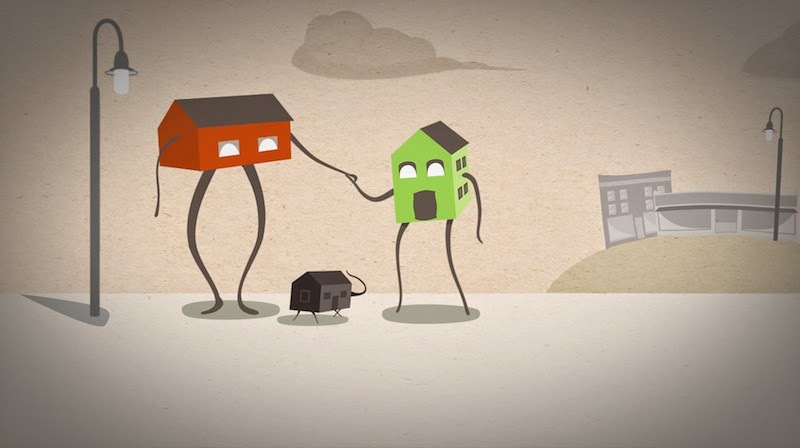 Animating is a new found love and the two combining is a keeper. They go so well together! Everything really, but I can see a pattern of all dreamy things in landscape drawing, animals and memories from my childhood. Describe your creative process. How do you go about creating your works? I often start with an idea that turns into a whole story within one picture. The first stage is the most scattered but also the most fun, with its creative chaos. After that I either start producing simple drawings with pen on paper or directly on my tablet in Photoshop or Illustrator. From there I build on my first concept to completion either as an illustration or an animation. Many of your works feature sweet, four-legged creatures. Do you have a favourite animal? Cats! But really, I love all animals. Where is your favourite (or most inspirational) place? I really get inspired when I’m out in the woods and travelling. Another inspiration is music - the lyrics, the feeling and the artists. "Dare to show your work to people”. To work alongside a musician, band or label by creating artwork and videos. Time-travelling? Imagine meeting people and places that inspired you through the years! What do you do when you’re not creating art? I’m not sure I ever take time off creating. When I cook I spice things up after how I feel at the moment and when I watch a movie I crochet blankets. I guess cuddling with my cat is not creating art, so that gives a creative pause in some way. 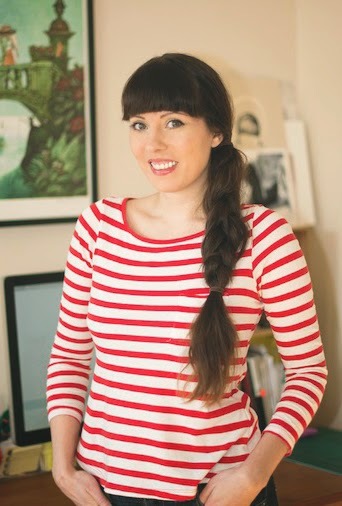 Don’t forget to stop by and admire Carolina’s work in the Robin Street Market and on her website, Carolina Grönholm. 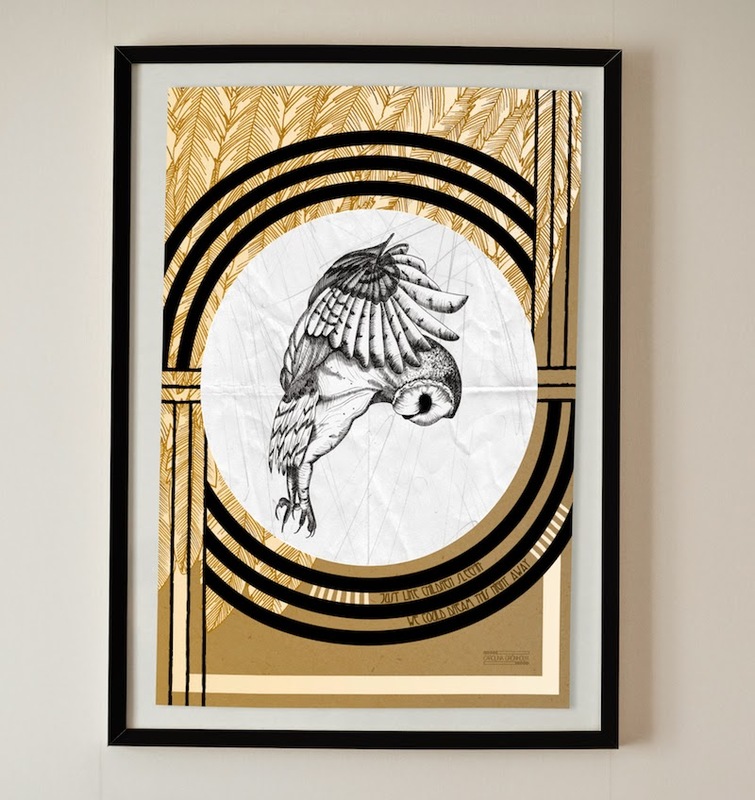 Even better still – this month we are giving away three of Carolina's prints! Pop over here for more details. Of course we couldn’t resist visiting Sweden without mentioning ABBA: The Museum, located at Djurgården, Stockholm. The museum is relatively new and offers a very unique, interactive experience for its visitors. Find out what you would look like in the group’s legendary stage costumes and what it feels like to sing at the Polar Studio and enter the stage together with the band. Best yet, all of your materials are recorded and attached to your ticket ID number, so you can re-live the excitement of your visit from the convenience of your own home! You can dance, you can jive, having the time of your life! Be a Dancing Queen for the day! 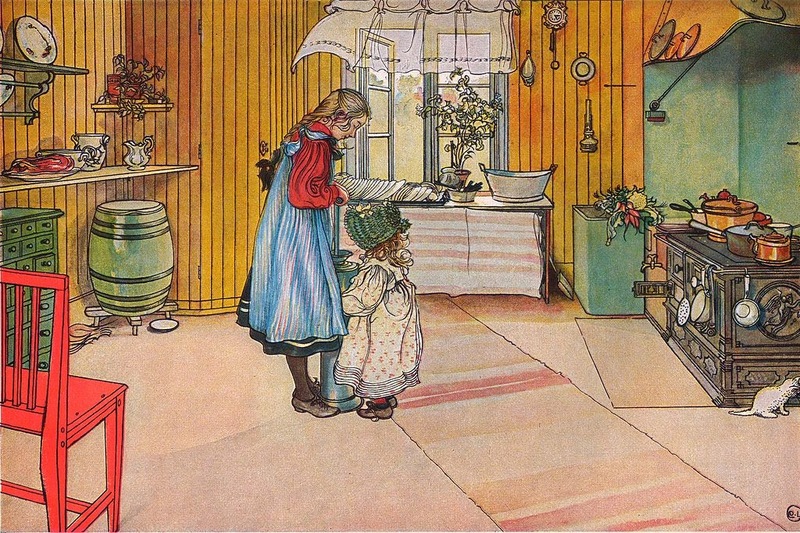 In order to give a nod to one of Sweden’s most beloved artists, we’ve decided to feature the home and studio of Carl Larsson. 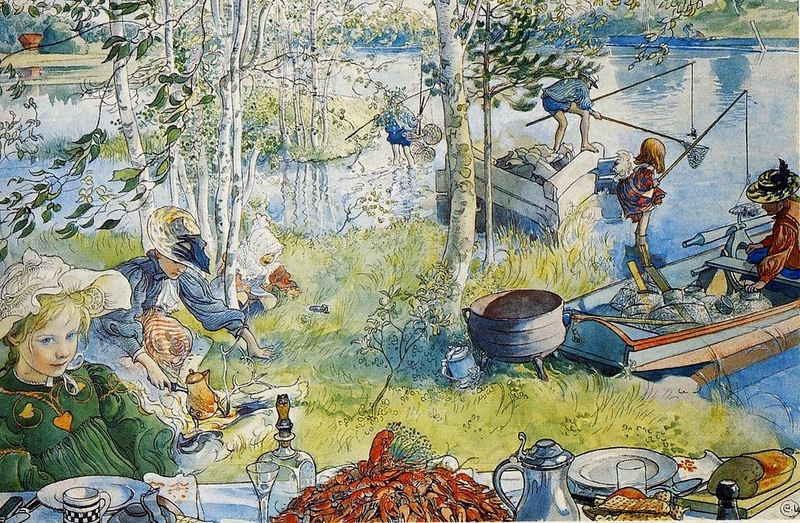 He and his wife Karin (along with their many children) lived in Lilla Hyttnäs for most of their lives, and it was a constant source of inspiration for Carl’s works. 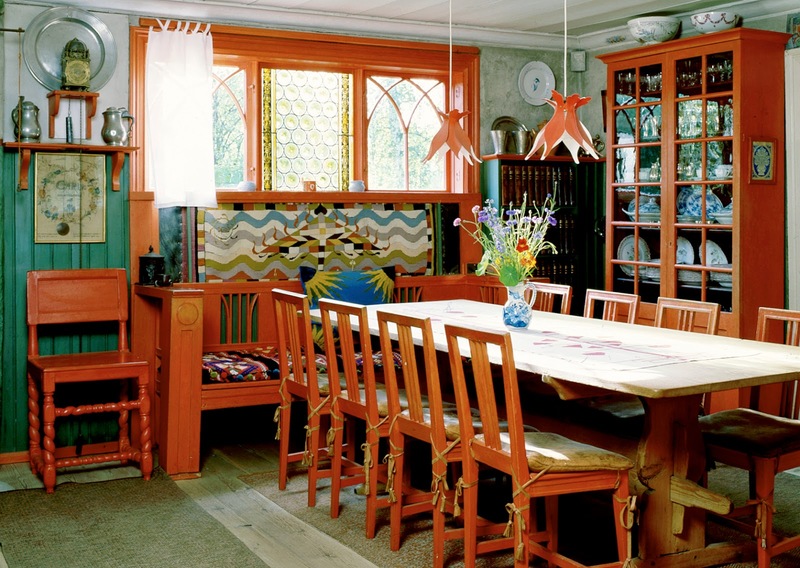 Indeed, its depiction, the quality of light, Karin’s flair for interior design, and the lively family life are almost synonymous with the world’s concept of Sweden. 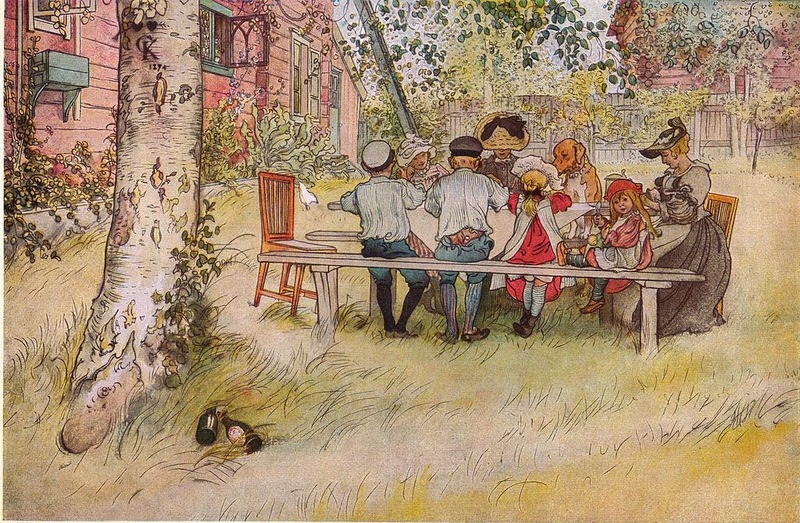 Carl Larsson was born in Gamla stan on May 28, 1853. His family was very poor, but the early recognition of his strong artistic talent gave him hope of a bright future. At the age of thirteen, one of his teachers convinced him to apply for a place at Principskolan, which was a preparatory department of the Art Academy. After attending the Art Academy, Larsson worked as an illustrator for books, magazines and daily newspapers. He spent several years in Paris trying to establish himself as an artist but never had any success. The turning point of his career occurred in 1882, when he moved to Grez, a Scandinavian artist colony located outside of Paris. Here he met his future wife, Karin Bergöö and underwent a significant artistic transformation by turning away from oil painting in favour of watercolours. Carl had eight children with Karin, and found that his family became an undeniable influence in his works. Carl and Karin later acquired Lilla Hyttnäs from Karin’s father, and so they moved there in 1891 to live and work. Lilla Hyttnäs, located in Sundborn, makes for an interested day-trip for adults and children alike. The house looks the same as it did when Carl and Karin lived there, so it gives visitors a unique look into the lives and working spaces of this creative couple. It is also hailed as having summer’s “most exciting garden”! The house is home to The Mill art gallery, where visitors can view a colourful exhibition of nature’s beauty in art and life. If you’re interested in learning more about this interesting and historic art destination, you can reach the official website by clicking here. Have you ever been? Let us know about your experiences in the comments below!